It isn’t easy being king. NBA 2K19 is in a tricky position most other games would kill to be in – NBA 2K18 was the series’ most successful game ever, and yet, it was also criticized by many fans for playing it safe on the court and going overboard with the in-game purchases. Personally, I thought NBA 2K18 was a solid effort, but far from the series’ best. Of course, long-running sports franchises can weather the occasional so-so season, but fans will jump ship if too many off years are strung together. And thus, the challenge facing NBA 2K19 – what do you do when the last entry in your series sold 10 million copies, but has a 1.6 user score on Metacritic? Can developer Visuals Concepts up their game and shift public perception without breaking the well-oiled money-making machine they built with NBA 2K18? Or is this franchise headed for a slump? As always with this series, NBA 2K19 strikes a nice balance between depth and accessibility on the hardwood. The game lets you pull off a truly mind-boggling array of offensive and defensive maneuvers, but you can get by with the basics, and everything – passing, ball handling, shooting, defense – is intuitively controlled with the two thumbsticks, face buttons, and L and R triggers. The nuclear launch codes you have to memorize to control some sports games aren’t required here. 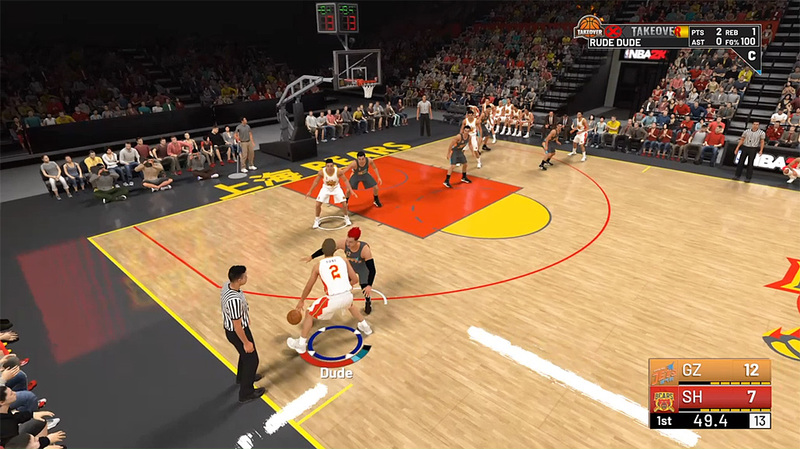 Ultimately though, the biggest addition to the on-court action is the new Takeover mechanic, which grants a player a skill boost if you can string together a series of successful plays with them. So, yes, it’s basically NBA Jam’s “on fire” system, but with a bit of extra depth. Not just any play will build up your Takeover meter, you have to focus on you player’s archetype – if they’re a sharpshooter, you need to knock down those threes, if they’re a playmaker, you need to pass to your teammates and set them up for success. Fill and activate the Takeover meter, and you’ll get bonuses, special powers, and even unique animations specifically tailored to your archetype. Even with the tweaks, the mechanic feels a touch out of place, but hey, everybody loves NBA Jam, so stealing from it (in moderation) isn’t necessarily a bad thing. 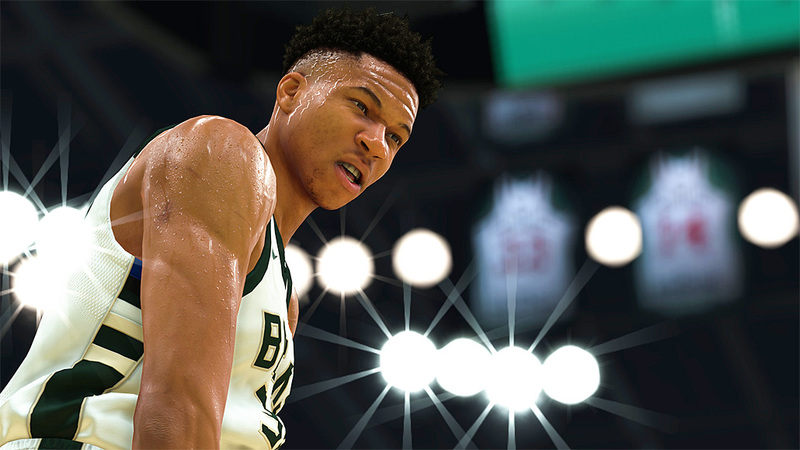 NBA 2K19’s gameplay may have taken a slightly arcadey turn, but the game is still slavishly dedicated to detail when it comes to presentation. The elaborate pre-game shows, player interviews, and impressive, natural-sounding commentary are once again represented. Against all odds, developer Visual Concept has also managed to squeeze a bit more juice out of the withered NBA 2K graphics engine – lighting, shaders, and animation have all been bumped up a notch, with some players (particularly top stars like James, Curry, and Irving) looking uncannily realistic. 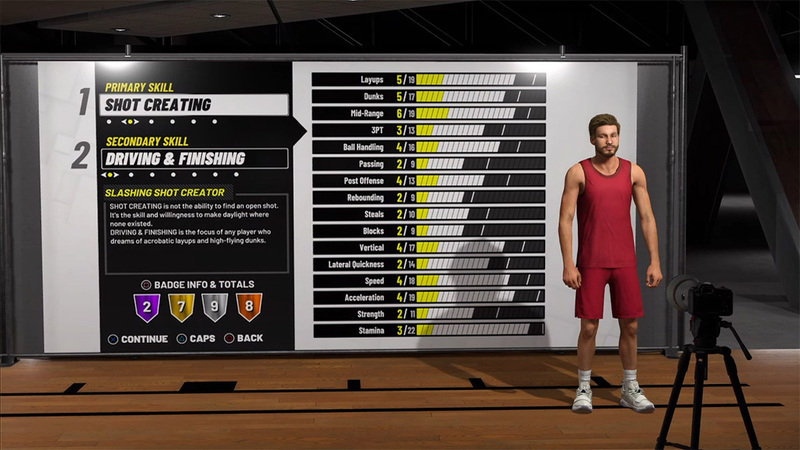 Even your custom MyPlayer looks decent this year, as the character creator has been totally revamped. Your options are still a bit limited, but at least your guy doesn’t look like a dead-eyed manakin during career mode cutscenes anymore. Speaking of which, this year’s MyCareer mode, entitled The Way Back, is a major leap forward for the series in terms of storytelling. You begin with The Prelude, a cutscene-heavy prologue, in which you take on the role of A.I., a brash hotshot who struggles to keep his big league dreams alive after he’s overlooked in the NBA Draft. Working your back to the NBA means grinding it out in China and the NBA G League as a member of the Fort Wayne Mad Ants (which is a real team, believe it or not). It’s an interesting journey, filled with twists, betrayals, and even a bit of romance. The writing and dialogue are surprisingly good, and the some of the cutscenes wouldn’t be out of place in a triple-A action-adventure or RPG. I usually find sports game story modes cringeworthy at best, but I was genuinely impressed by The Prelude. Unfortunately, The Prelude only lasts four to five hours, at which point, it’s back to MyCareer as usual. There are still a few bits of light story to experience, but, for the most part, the focus becomes leveling up and customizing your MyPlayer. Building up your character can be satisfying in its own right, but after a while it can start to feel like a chore. I really wish more of the personality and drama of The Prelude could have carried over into MyCareer proper. MyCareer also brings back The Neighborhood hub, which is, somehow, even more dull than last year. Any sort of half-hearted attempt to make The Neighborhood feel like an interesting “open world” has been abandoned, as it’s now just a square courtyard surrounded by various shops and attractions. The few features that have been added are mostly just new places to spend money in. Admittedly, some of the multiplayer stuff you can jump into is fun, particularly the ridiculous new trampoline basketball courts, but it would be quicker and easier to select these online modes from a menu. The Neighborhood doesn’t add anything to the experience. It’s hard to escape the feeling that MyCareer and The Neighborhood are just a big money trap. Virtual Currency (VC), which can be bought with real world cash, is of course required to buy clothes, accessories, and boosts, but you’ll also need it for leveling up and other core gameplay elements. Earning VC in-game is a bit easier than it was last year, but the process is still far too grindy. Basically, you earn enough in-game to level up your character or buy cosmetic stuff, but you can’t do both. Thankfully, there are plenty of other modes for those who get tired of the MyCareer routine. MyGM and MyLeague, which let you get your hands dirty running an NBA franchise, or a whole league of them, are back and their menus and overall organization have been improved. NBA 2K19’s MyGM story mode is a direct sequel to the one we got last year, with your character and key decisions carrying over. 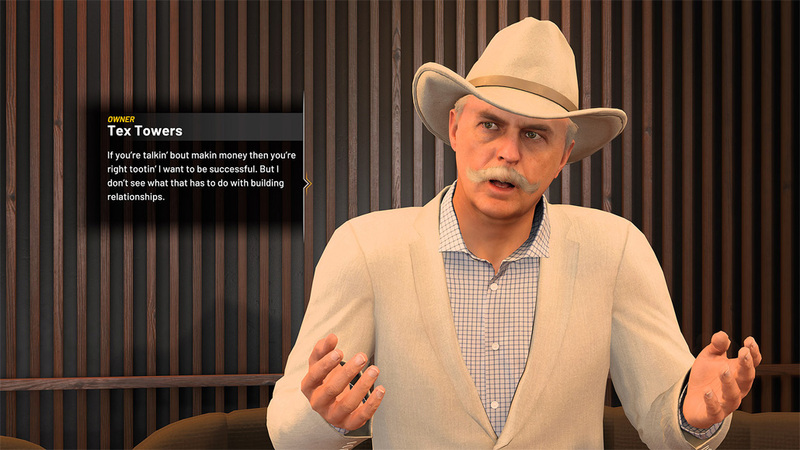 Unfortunately, while I generally enjoyed MyGM in NBA 2K18, the story jumps the shark something fierce this year. The writing is absurdly wordy, to the point it almost feels like a troll. Characters will rattle off 10 to 20 minutes worth of text about the most inane subjects, often wandering off into completely irrelevant tangents. It’s like playing a video game designed by Grandpa Simpson. Thankfully, you can also play a basic, story-free version of MyGM, which I recommend as all the actual team management stuff is fun. Of course, NBA 2K’s popular (and lucrative) MyTeam collectible card game also returns, with a complete visual/menu overhaul and a handful of new games to take part in. I’ve never particularly seen the appeal of MyTeam, but if you enjoy it, it’s deeper than ever. Really, that describes NBA 2K19 in general – most players will struggle to get through even half the game’s content before NBA 2K20 hits. This review was based on a PS4 copy of NBA 2K19 provided by publisher 2K Games. You can purchase the game on Amazon. NBA 2K19 is better than ever on the court, but, like a lot of top NBA stars, the game is a bit too obsessed with making money by any means necessary. 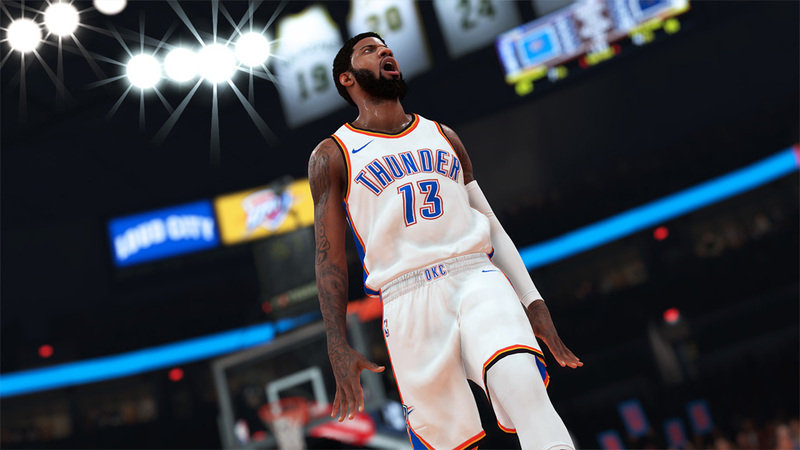 NBA 2K19 struggles to strike the right balance – the game offers some refreshing story and gameplay improvements, but they don’t quite make up for an aggressive monetization scheme that hasn’t been updated in any meaningful way. 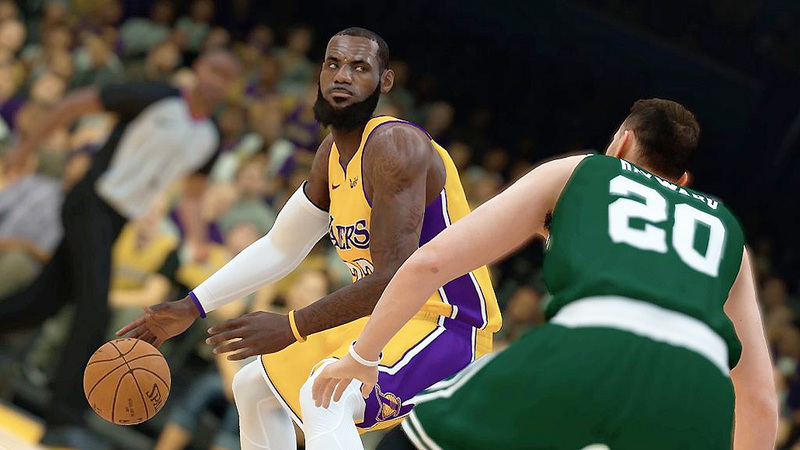 Much like its Special Edition cover star LeBron James, you can’t help but respect the accomplishments of NBA 2K19, but sometimes you may not actually like the game that much.